Talk Recording: Why and How to Make Cannabis Extracts "Water-Soluble"
Last October, Dr. Alexey Peshkovsky, President & Chief Scientific Officer of Industrial Sonomechanics, presented a talk entitled Why and How to Make Cannabis Extracts "Water-Soluble" at Marijuana for Medical Professionals conference in Denver, Colorado. A variety of topics were covered, including the development, manufacture and administration methods of translucent cannabis extract nanoemulsions, also known as water-soluble CBD and THC. 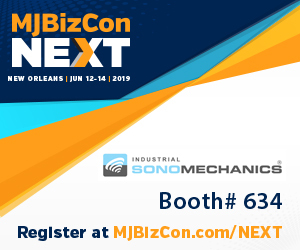 We are happy to announce that Industrial Sonomechanics (ISM) will participate in the 2019 MJBizConNEXT in New Orleans, LA. The conference will take place on June12th - 14th, 2019, at the Ernest N. Morial Convention Center. If you are interested in making cannabis oil nanoemulsions, also known as water-soluble CBD or THC, please come by and see our ultrasonic equipment and NanoStabilizer™ at booth #634! Why Sterile-Filter Water-Compatible Cannabis Extract Nanoemulsions? 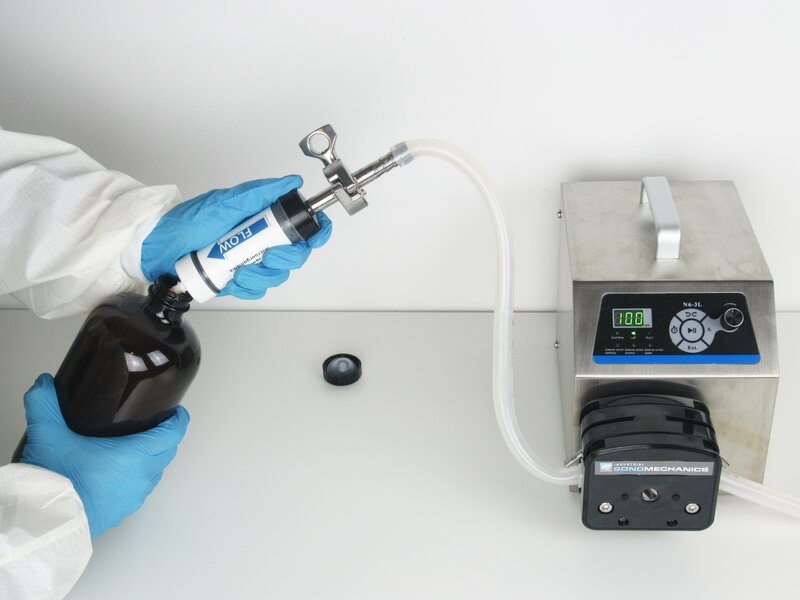 Sterile filtration is an important post-processing step of ultrasonic nano-emulsification - a process that converts cannabis extracts and/or other hydrophobic bioactives into a water-compatible form. In this article, I will summarize the steps of the nano-emulsification process carried out with BHUT-based ultrasonic equipment and NanoStabilizer™, list the main advantages of the resulting water-compatible nanoemulsions, and explain why sterile filtration is always necessary at the end. Answers to several FAQs will also be provided. 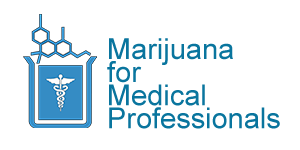 We are excited to announce that ISM will participate in 2018 Marijuana for Medical Professionals conference in Denver, CO, taking place on October 14 - 16, 2018, at the Marriott Hotel Denver Tech Center. 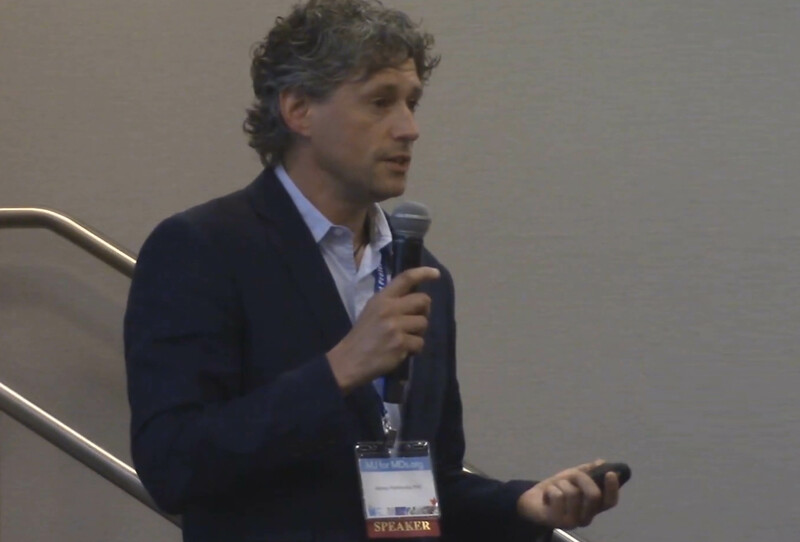 At the conference, ISM President and Chief Scientific Officer, Dr. Alexey Peshkovsky, will be giving a talk, entitled "How and Why to Make Cannabis "Water-Soluble"." If you are interested in learning about translucent, water-compatible nanoemulsions of cannabis extracts that can be infused into beverages, edibles and topicals, resulting in enhanced bioavailability and shortened onset of therapeutic action, please come see Dr. Peshkovsky's presentation! We are frequently asked how to minimize the bitter taste of products made with cannabis extract nanoemulsions (a.k.a., water-soluble CBD and THC). Infusing beverages with CBD and/or THC-containing translucent nanoemulsions (ideally, averaging ~20 nanometers in droplet size diameter) offers a very convenient, discrete and effective consumption method. The infusion does not change the original appearance of the beverages while instantly enabling them to provide a very rapid onset of action and high bioavailability of cannabinoids as well as of any other incorporated active ingredients. With this pharmacokinetic profile, the experience a lot more similar to consuming an alcoholic beverage than a typical cannabis-containing edible, which provides a myriad of attractive options for the vendors and consumers. In many cases, however, the infusion results in a bitter taste, which can range in intensity from virtually undetectable to quite unpleasant and makes it important to understand and manage. The recording of Cannabis Tech Media's recent webcast on Ultrasonic Liquid Processing for Cannabis Oil Nano-Emulsification and Extraction, featuring guest speaker Dr. Alexey Peshkovsky, President and Chief Scientific Officer of Industrial Sonomechanics, is now ready. The webcast, which was held on Thursday, May 17th, 2018, had over 300 registered participants and generated close to 150 questions. Some of these questions were addressed by Alexey during the webcast. The answers to the rest are provided in this post. If you have any additional questions, please do not hesitate to contact us or leave a comment below. We are happy to announce that Dr. Alexey Peshkovsky, President & Chief Scientific Officer of Industrial Sonomechanics (ISM), will be the guest speaker at CannabisTech Media's live webcast, presenting ISM's high-intensity ultrasonic technology for cannabis oil nano-emulsification and extraction. 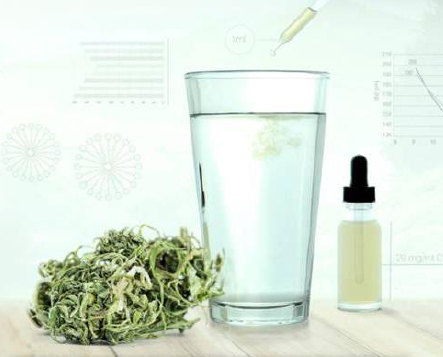 Interested in making or using water-soluble cannabis extracts? Join us on Thursday, May 17th, 2018 at 11:00 am (MDT). We are happy to announce that ISM will participate in the Cannabis World Congress and Business Exposition in New York, NY. 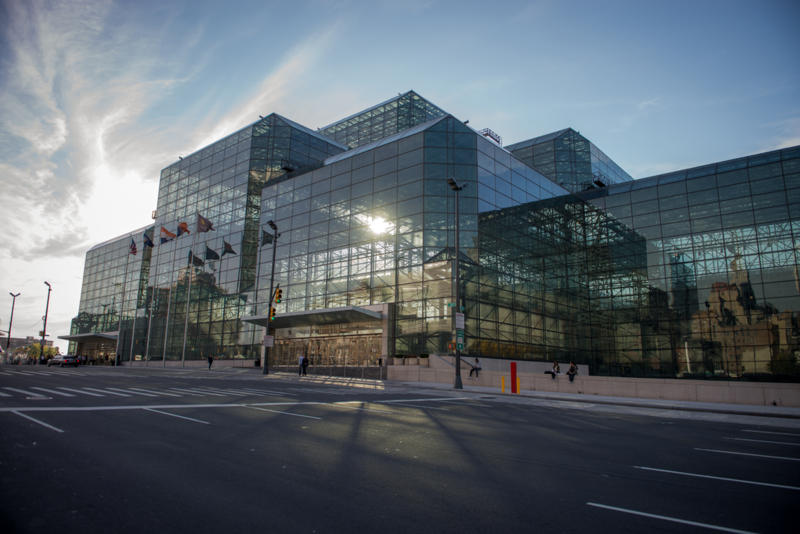 The conference will take place from May 30th to June 2nd, 2018, at the Jacob K. Javits Convention Center located in Midtown Manhattan. If you are interested in making translucent cannabis extract nanoemulsions (water-soluble CBD and THC that can be infused into beverages, edibles, topicals, etc.) with enhanced bioavailability and a rapid onset of action, please come see us at booth 519! We will be exhibiting all our ultrasonic liquid processors as well as our new NanoStabilizer™. 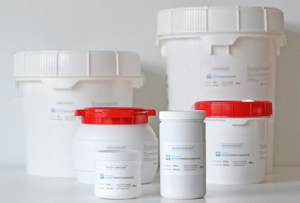 We will also bring along some nanoemulsion samples made with our technology. You do not have to be a scientist to make high-quality water-soluble CBD and THC! Industrial Sonomechanics' customers no longer need to develop their own formulations and production protocols for cannabis extract nanoemulsions. We are pleased to announce the launch of a new product: all-in-one NanoStabilizer™. This convenient product can tremendously simplify the ultrasonic production of high-quality, translucent nanoemulsions of bio-active ingredients such as cannabis extracts. This product is designed to work in conjunction with our laboratory, bench and industrial ultrasonic processors, and comes with detailed, easy-to-follow instructions. 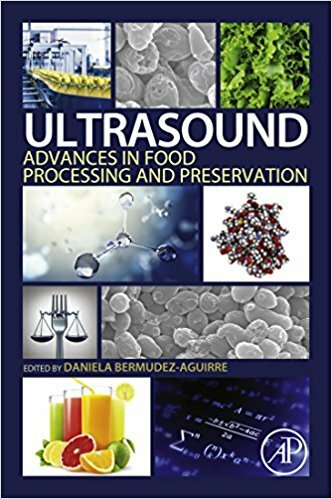 Industrial Sonomechanics (ISM) is pleased to announce the recent publication of a book entitled "Ultrasound: Advances in Food Processing and Preservation," edited by Dr. Daniela Bermudez-Aguirre (Academic Press, 2017). The book provides an extensive overview of the potential of ultrasound technology to drive innovation in the field of food processing and preservation, and features a chapter by ISM's co-founder, President and Chief Scientific Officer, Dr. Alexey Peshkovsky. This chapter, entitled "From Research to Production: Overcoming Scale-Up Limitations of Ultrasonic Processing," explains how ultrasonic processing can be directly scaled up from laboratory to production environments while maintaining reproducible, high-quality results. Industrial Sonomechanics is a R&D, equipment design and process consulting firm, specializing in high-power ultrasonic technology for liquid treatment. Our mission is to help businesses implement their ultrasound-assisted processes on lab, pilot and industrial scales.